Every “big” blogger recommended them for beginners. I’d had several frustrating customer service encounters with Hostgator. I could try Bluehost for VERY cheap with a promo they were running. At first, Bluehost was okay. When I was trying to become a Bluehost customer, their customer service was amazing. Once I had paid up front for a 3 year contract, the customer service was pretty bad. Meaning, hour-long wait times on the phone or online chat support. Sometimes, I’d get disconnected and have to start over on hold. My site had more downtime than I wanted though. And as my traffic increased, my site got very slow. Sure, I could have paid for higher quality hosting, but I wasn’t convinced it’d be worth the extra money. When I tried to leave Bluehost, it was a nightmare. Getting them to release all the fancy codes and such took HOURS and HOURS. Many multiple phone calls. I didn’t even ask for my money back. I just wanted out. Ay ay ay. Even after I cancelled my Bluehost account, I had to call 3 more times because I kept getting notifications that various parts of my contract were about to renew. When I first started blogging, I set up a free blog on Blogger with a blogspot domain. As I grew to enjoy blogging more and more, I wanted a website name (domain) that didn’t have .blogspot in it. So, I moved my site from Blogger to a self-hosted WordPress blog on Hostgator. It took me HOURS AND HOURS AND HOURS of research to figure out how to make the switch. Hostgator’s dashboard wasn’t intuitive at all. Like Bluehost, my Hostgator experience was that they seemed very helpful when I was inquiring about how to make the switch. “Yes, it will only take you 30 minutes ma’am. I’ll walk you through step by step.” But once I paid for 3 years of hosting (which is what you have to do to get the cheapest price), the customer service was a pain. Then, again, when I wanted to leave Hostgator and switch to Bluehost… HUGE hassle. Blogger is a blogging platform run by Google. It’s easy peasy to setup if you want to keep an online journal blog of sorts. But if you want to ever make money from your blog, just start out on a self-hosted wordpress site from the beginning. Skip all the other easy drag and drop sites too! Trust me! Your future rockstar blogger self can thank me later. Also, I have since boiled down beginning blogger information that took me hours/weeks/months to understand into only need-to-know information in 2 short posts titled I Want To Start A Blog But I Don’t Speak Geek and A Step by Step Tutorial To Getting Your Blog Setup on SiteGround. SO, IS THERE AN ALTERNATIVE? Here’s the thing. If you want to start a blog, and are not a tech guru, you probably want a hosting company that will help you when you need it. Especially when you’re getting setup. Enter: Siteground. I did a bunch of research, and I can’t find anything better than Siteground for beginning bloggers. 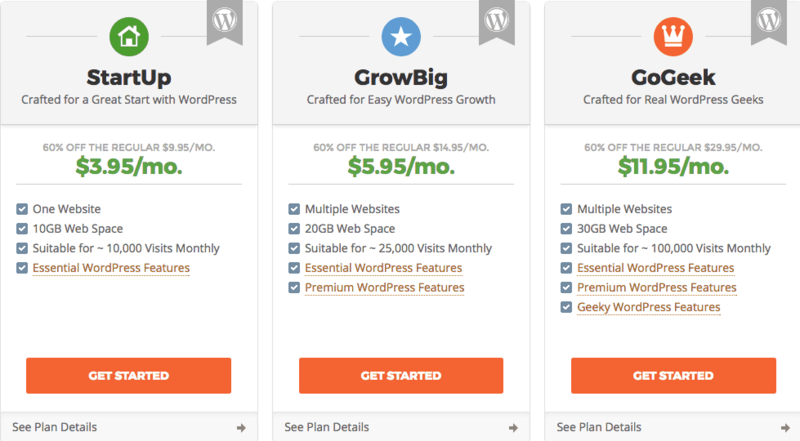 Siteground’s introductory rates are the same as Bluehost’s. You only have to pay for 12 months up front instead of 36 months (which is how long you have to pay with Bluehost to get their cheapest rate). Tip: It might make sense to pay for a longer term up front with Siteground to lock in that $3.95/ month rate. As your blog grows, the hosting price goes up. That makes sense. But, even for the higher-traffic hosting, Siteground is still way cheaper than anything else around. If you have a site on a different hosting company, Siteground will move it for you. This is unheard of with cheap hosting companies. My theory is that they do this because they want you in it with them for the long haul! Their customer service reputation is what they’re known for. Every time I’ve gotten in touch with them, they’ve been speedy and helpful. I’ve only chatted with them for affiliate and potential-customer related questions because I have a “tech guy” who does my hosting on AWS (see below). I scoured the internet before recommending them to you and I can’t find any scathing reviews. Everybody says their service team is super helpful. Why do so many bloggers recommend bluehost? 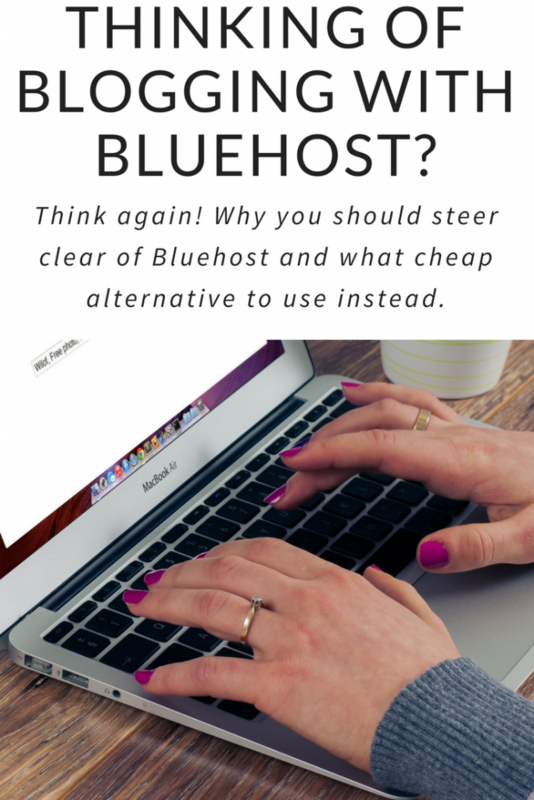 Okay, so I obviously can’t read the minds of other bloggers, but I know why I used to recommend Bluehost. And, I have a guess as to why a lot of big bloggers still do. They were very helpful when I was trying to become a customer. Setting up a wordpress blog on Bluehost is super easy. 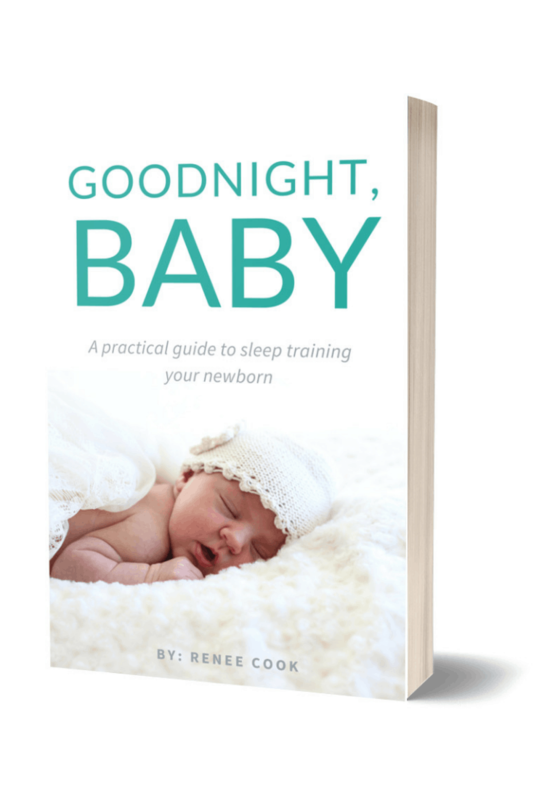 When my site had baby traffic, it didn’t have any problems. Their affiliate payout is AMAZING! You make $60 per referral as an affiliate, and sometimes they run double-up promos where you make $120 PER PERSON THAT SIGNS UP THROUGH YOUR LINK. It is easy to get started with and they want their readers to have an easy blog starting experience. Plus, like I said, they have a VERY high payout for each referral. Siteground has been around since 2004 but it’s recently gained a lot of momentum and a great reputation. I recently switched from custom hosting to siteground. When I grew tired of my crappy Bluehost hosting, my husband is a super-nerd and suggested I switch to hosting on AWS (which stands for Amazon Web Services. It’s a separate company from the Amazon that delivers everything to your door in 2 days). Amazon Web Services is the Mercedes Benz of hosting. The catch is – you have to know what you’re doing or pay someone a lot of money to do it for you. I literally cannot navigate my way around AWS at all. Not one stinkin’ thing. With AWS – you’re 100% on your own. You have to know what “spinning up instances” is. And how to do something with EC2. (I have no idea what either of those mean. I just overheard my husband saying them while setting up my site.) You have to know how to maintain bugs as they appear. And how to not accidentally rack up a huge bill or let the site collapse. And how to back it up so you don’t lose all your hard work. My husband ran this for me for a while, but honestly, Siteground was so appealing, we just switched over to them. And it was a piece of cake. Starting a blog should be cheap, low-hassle, and FUN! I honestly think Siteground is the answer! If you are looking to start a blog, start with Siteground. I know that SO MANY PEOPLE recommend Bluehost, but I think you will be happier in the long run (and your site will work better) if you do your hosting on Siteground. 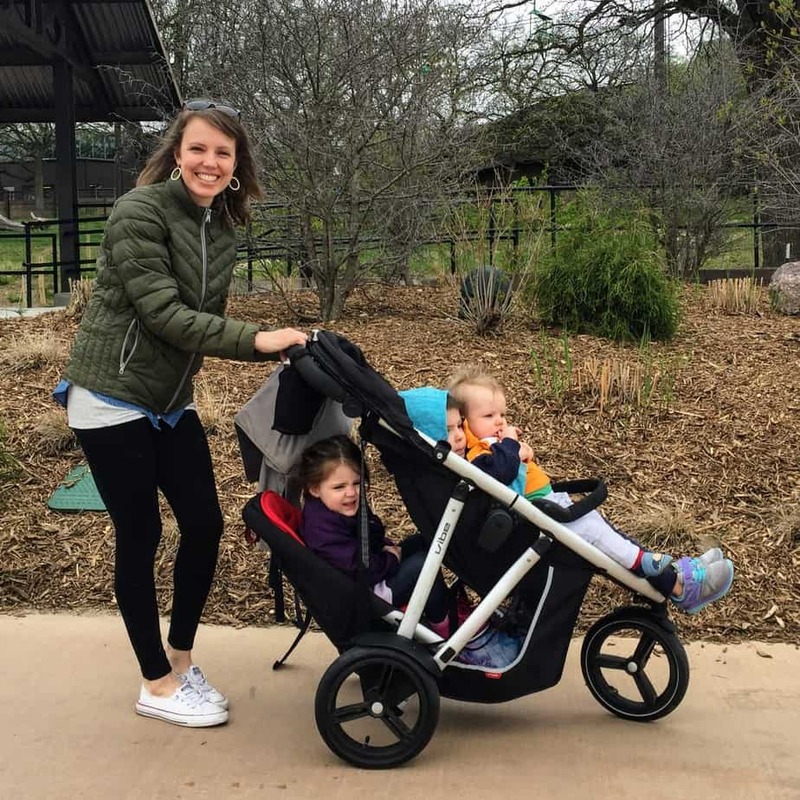 And, in case you missed it earlier, here’s my other beginner blogging tutorial: Platforms, Domains, and Hosting, Oh My! I Want to Start a Blog, but I Don’t Speak Geek!